Freshly given his new Renegara title, Gisbo Falcon is back, but for how long? On the desert plains of Flaria, Gisbo continues his training under his Class Master, Falcon, while dodging Spike Slithers, getting reacquainted with a long lost family, and preparing for a tournament to face off against his greatest rival yet, Malik Strife. But that’s the easy part. A fiendish cult known only as The Holy Chosen has recently risen out of the ruins of Cledwyn City, once home to Vadid the Valiant and the Flarian race. Now, a shadow of its former self, the new city seeks to open the sands of Flaria once again to the horrors of war. A great battle is coming, but Gisbo hasn’t been himself lately. A dangerous, repressed memory in the form a door, bolted, and chained on all sides has been rattling within Gisbo’s mind, clawing day and night like a caged beast, a beast, if freed, could change our good-hearted hero forever. 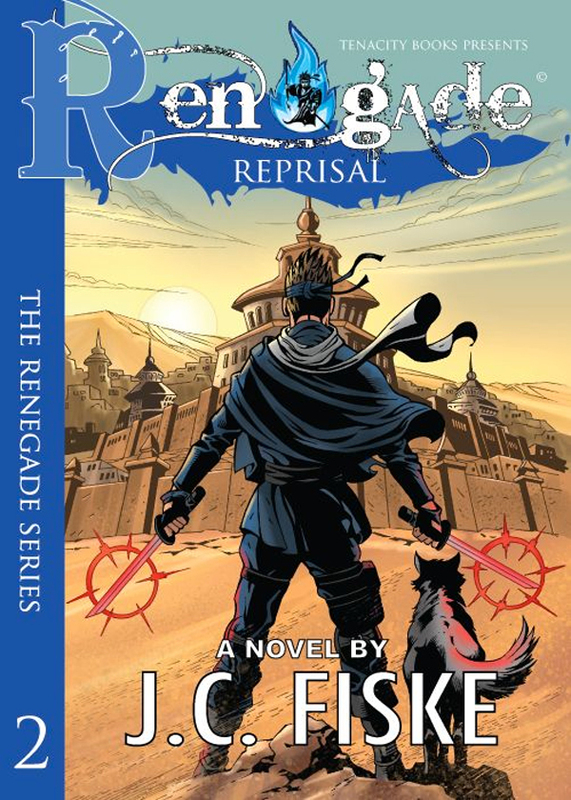 You can purchase the book online from Amazon at http://www.amazon.com/Renegade-Reprisal-J-C-Fiske-ebook/dp/B007P4V1RK.